We’ve all had them. That difficult phone call with a client in a quandary, a manager in a state of frenzy, a customer service representative who just doesn’t listen. Today, we’re going to focus on your role as a service provider and how to turn a potential disaster into a success. Most difficult phone calls, from the frustrated client or customer to the overbearing boss, can be traced back to one fundamental root: ANXIETY. The person you are handling on the call is likely not vexed with you personally, but you are the lucky recipient of all of that cumulative frustration that has been built out of real or imagined failure of some process or system, or real or imagined fear of loss. Rule number one for managing a difficult phone call is to take immediate ownership of what role you actually played in the source of that frustration and desensitize as fast as possible from what does not belong to you. This will give perspective. As quickly as possible into the call, engage in real empathy for what the caller is expressing to you (no phony or patronizing tone of voice or canned responses, please!) Assure them that you are here to listen and find a fast way to express that you want to partner in a speedy solution. Cool down that volcano with genuine understanding about the problem and listen intently. Repeat back to the caller a brief summary of what you understand the problem to be. They will immediately realize that someone is listening and that someone is you. Never EVER leave a customer, client, manager, or colleague high and dry without something to hold onto in a crisis moment. Sure this call may be heated and challenging, but you have got to remember that a few minutes extra that you spend on this call, providing genuine support, could be the make or break that keeps your client engaged and/or keeps you employed. Do not think short-term. Invest your time and energy into making this call a success and stop looking at the clock, thinking that the call is taking too long to resolve. Sure, in some functions, especially support desks and call-centers, managers expect calls to finish in a fixed period of time. If you are in this kind of environment, and find yourself on a call that is going overtime, make log notes. Document the cause for the call, the problem you were helping to resolve, and whenever possible, the outcome of the call. If you demonstrate a justifiable reason and positive result that benefits the client and company, this will serve as a tremendous benefit to all constituents. If the person really persists in being abusive or outright offensive, you can put the brakes on like this: “Ms. So-and-So, I think you might be better served talking with my manager about this issue. 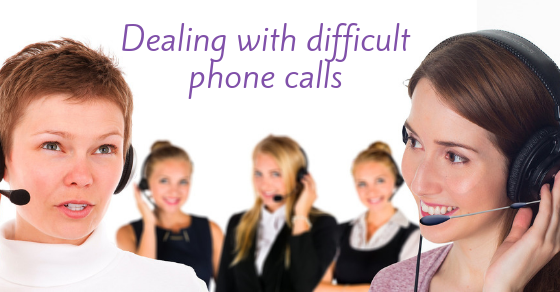 I am going to call her to describe the trouble you are experiencing and ask her to follow up with you promptly.” Do not feel like you are passing the buck by doing this. Naturally, in cases of severely abusive or inappropriate conduct, you can send a separate email to your manager describing what was said to you. You also deserve workplace protection. Now that this caller knows that you are excellent at putting out fires and getting them exactly where they need to go, they may be hard-pressed to call anyone but you ever again. Sometimes it’s a manager from another department who starts asking you for tasks that he should delegate to his project manager. Sometimes it’s a customer of another division, or a client who really should be engaging with your client relations manager. But you, my friend, have got yourself a Corporal Klinger. What do you do? Remember. Everyone is your Customer. How many times have we dealt with a customer who is irate and yelling and all we want to do is yell back? I’ve had this experience many times. Yelling back will feel satisfying in the short run, but you can say goodbye to that customer. Controlling yourself and finding a way to calm the customer down will reap both financial rewards (loyal customers) and emotional rewards. Surprisingly, or not so surprisingly, if you manage to control your anger and defuse the other party’s anger, you’ll actually feel really good about yourself. Check out – and live by – these customer service do’s and don’ts. Don’t tell an emotional customer to calm down. Has anyone ever told you to calm down? Has it worked? The most common reaction to being told to calm down is to become more upset and frustrated. People can get really mean when they have spoken to a lot of people and their problem is still not solved, or they have tried to speak to people and have gotten the run around. They have finally gotten to you, who are ready and willing to help them, but they do not know that at the beginning and are coming in expecting more of the same frustration. Do listen to what the angry customer is saying. It is hard to listen to someone who is annoyed and shouting. 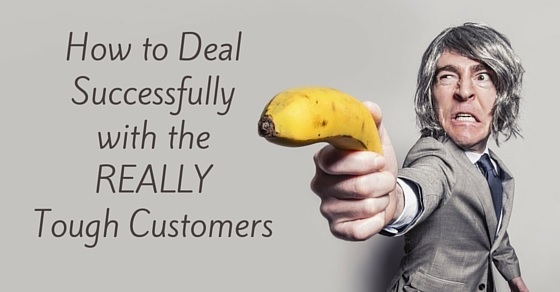 Try to tune out the tone of voice and truly understand what the customer is complaining about. Do speak in a calm voice no matter how the customer is speaking to you. Most of the time customers just want their problem fixed and might not have the best tone. If you speak in a calm manner, chances are they will be more willing to listen. If the customer is being truly abusive, you don’t have to be subjected to it. Transfer it to your supervisor. Don’t tell the customer that everything is fine with the product or service and that the problem is the customer. Do repeat back to the customer in your own words what you feel the customer is trying to convey. The customer will feel validated and that their complaint is heard. It is only natural that when we hear a complaint about our company we will want to defend the quality of service. That can come later. Our main goal when speaking to a customer is to hear what they have to say and make sure we understand them correctly. If we don’t understand the problem, it becomes difficult to correct and we will still be dealing with an irate customer. Usually a customer just wants to feel that they are heard. Once that occurs they are more likely to calm down and speak to you in a normal tone of voice. Don’t lie or make promises that you cannot deliver. Do tell the customer the truth. If you do not know how to solve the customer’s problem, don’t make something up. Tell them that you have to check on it and will get back to them. Only promise them a refund if you have authorization to do so. Customers want to feel that they can trust the company and its employees, so if an employee makes a false promise or tells them something that is not true, that customer will leave. Honesty truly is the best policy. Don’t say you will get back to a customer and then forget about it. Do call or email them a few days after you spoke with them and make sure that whatever problem they were having has been resolved. If you say you are going to check in, then you must do it for the sake of honesty. But it’s worth doing even if you didn’t mention it. The customer might not remember if you don’t check in, but they will definitely remember if you do. It will reflect well on the company and the customer will feel cared for. That is exactly the purpose of customer service! Don’t try to upsell a product when you are dealing with an irate customer for the first time. Do try to speak to them about different products after you have established a relationship with them. Trying to sell more products should be the last step in customer service. After you have validated the customer’s feelings, listened to what they had to say, and checked in on them a few days later, only then can you try to speak to them about different products. If someone is complaining about the service they are receiving or a problem they are having, the last thing they want to hear is that the company wants more money. 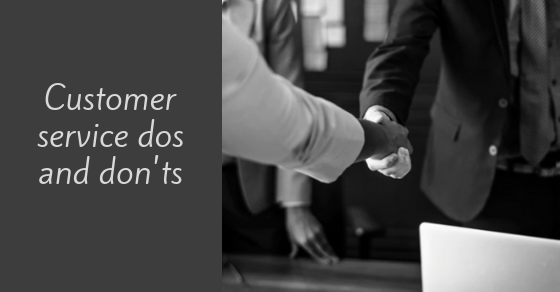 Once the relationship is established between you and the customer and the customer knows they can trust you and the company, they will feel comfortable hearing about more products. Customer service is the backbone of any business. We have all had positive and negative experiences with customer service and we know how each one made us feel. A positive experience will lead to a happy customer, which will lead to more purchases from that customer, as well as word-of-mouth revenue. If a customer is happy, they will recommend a company to his/her friends. Listening, understanding and giving. That’s what people want out of any relationship. The relationship between customer and customer service representative is no different. What’s your most powerful marketing tool? Forget newsletters, social media, print ads and SEO. Your best way to reach new customers is through word of mouth – in other words, recommendations from loyal customers. Customers who love your business are your brand evangelists, spreading the word about you to their friends both online and offline. In addition to reaching new customers, you should be focusing on nurturing current customers and gaining their loyalty. If you provide services, tack on an extra service at no additional charge. For products, send a small gift along with the purchase. (A handwritten thank-you note with the purchase can be just as effective.) Something which costs you very little can make a huge difference in customer satisfaction. This tactic is even more effective if you make the bonus a surprise. Customers want to buy from a brand that cares what they have to say. Create a short survey and hand it out upon purchase, post it on your website and on social media. Find out what customers think of your product and the customer experience you provide. 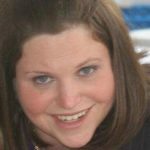 Use this information to improve and satisfy your customers – and let them know that you’ve made changes based on their feedback. Ask customers to tag pictures of your product on Instagram. Develop an app specifically for the brand. Create a group on Facebook or LinkedIn to share feedback and comments. Make customers feel that they are part of something bigger when they engage with your brand. Despite the speed of online ordering and automated phone support, customers want to speak to a real human being when they are having issues. A phone call with a professional and helpful customer representative goes a long way in creating customer loyalty. Make sure customers can easily find your contact information and that there is somebody to answer emails and phone calls at all times. A customer may come into a store or visit a website to purchase a specific product, but you know he would also benefit from related products which would complete the experience. Offer him the additional products and let him know how he could use all the items together. A customer who leaves with more than he came for (and feels good about it) is a happy customer. In every industry there are leaders. If they are happy customers, they will spread the word to regular buyers who will take the advice of the leaders about where to shop. If a marketing agency offers high-end services for large brands, they will have an easier time selling their lower end services to small businesses. A sports equipment brand could focus on satisfying trainers who will then send their trainees to make purchases from this company. Treat your best customers like insiders. Let them know what your plans are before you go public. Send out a newsletter in advance of a sale to let customers know prices will be dropping soon. Let customers see the beta version of your website and ask them what they think. When customers feel like family, they treat you like they would treat their own relatives. Customers expect a certain level of customer service but if you go beyond that they will remember it for a long time. A personal email from an employee asking a customer how satisfied he is with his purchase or a phone call to a long-standing customer to wish her a happy birthday will be greatly appreciated. The biggest customer evangelists are previously dissatisfied customers. Customers may complain on social media, call your office or send an angry email. No matter how they reach out, their goal is to find a solution to their problem. They may need technical support, a new product or a refund. Whatever it is they need, it’s worth the expense to turn these unhappy customers into loyal fans. Brands often focus their efforts on initial contact with a new customer. While that is important, consistency is even more important. Under-promise and over-deliver as a rule and your customers will praise you at every possible opportunity. Keep your customers thrilled, and they’ll not only be coming back for more – they’ll be bringing others in for a taste.